If you are considering buying a home or other real estate in the greater Southport area, and you are a golf lover, then you are in luck. 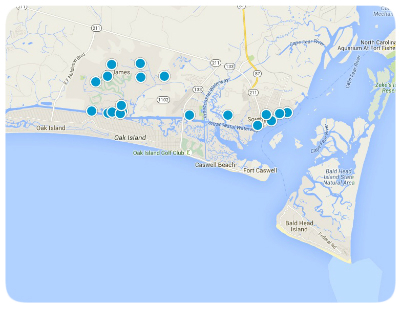 Within a 30 mile radius of Southport, NC, you will find over 60 golf courses. Turn south to Myrtle Beach for its mind-boggling entertainment and beach resorts, turn north to Wilmington, with it's selection of signature golf courses. But you need only travel a few miles from historic downtown Southport to find some of the top golf courses in the country - four of them at the award-winning community of St. James, and the Golf Digest-recognized Carolina National at Winding River Plantation. All five of these courses are certified as Audubon Cooperative Sanctuaries, which recognizes a commitment to preserving the coastal area's natural resources. Part of the charm of golf in coastal North Carolina is the unique low-country landscape and the ideal climate to enjoy the game of golf year round. Here, winding fairways, lush greens, water views and elegant clubhouses abound. And where else can you play a few holes and head out for some deep sea fishing or a relaxing afternoon at the Southport area's 28 miles of beach -- all in the same day? Designed by some of golf's greatest names, like Nicklaus, Couples, Dye and Irwin, these signature courses of St. James and Winding River offer challenging play to meet every golfer's game. Whatever your handicap, these golf courses will impress you with their unique design, superior play and sheer golf enjoyment! Whether you're just learning, or want to take a few more strokes off your game, you will find experienced PGA-Certified Professionals at all these courses. 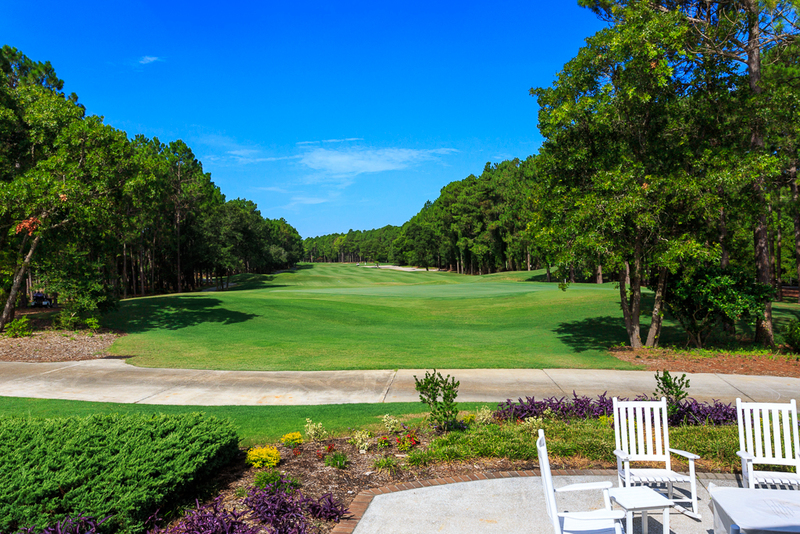 All this and more await you at the golf clubs of St. James Plantation and Winding River Plantation. Also check out the coastal area's newest golf course at Brunswick Forest: the Cape Fear National. There are also a wide variety of public and private golf courses in nearby Wilmington NC and Myrtle Beach. So come for a visit and see what all the excitement is about!